Most non-car people are familiar with Fisker because of the striking-looking-if-flawed Fisker Karma, though the man has designed some other well-known and remarkable cars like the BMW Z8 and Aston Martin V8 Vantage. Fisker announced a plan Monday morning to introduce a mass-market SUV priced around $40,000 and with a planned range of 300 miles. It also has a massive face. This announcement comes on the heels of Tesla’s Model Y announcement last week, which is also an all-electric SUV to be priced somewhere around $40,000. 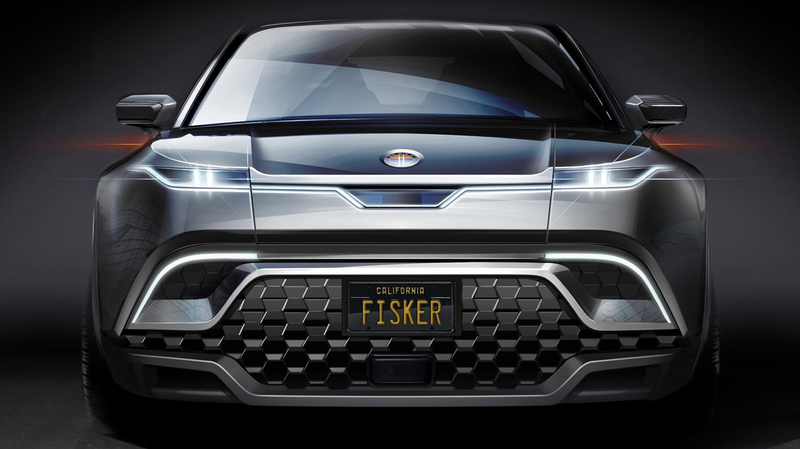 Considering that this SUV announcement is something of a surprise since up until now Fisker had been pushing their EMotion sedan with the bonkers doors, it appears that perhaps Tesla’s announcement caused Fisker to shuffle their plans. Also, it’s reported that the solid-state battery tech planned for the EMotion isn’t ready yet, too, which is also a likely reason for a shift in focus. The still-nameless SUV has Fisker’s trademark bold styling. In this case, most of that styling seems to have focused on the massive bumper area, which incorporates two large side air intake nostrils and a huge non-grille section in the middle with a grille-suggesting “parametric” pattern. Also interesting is the small glass window for the radar emitter unit just above the not-grille area, a refreshing unashamed way to deal with a radar emitter window instead of trying to hide it like it’s something to be embarrassed by, like many other automakers. Supposedly the SUV, which is planned to be built in America, will have two motors, front and rear, for AWD, and a prototype is expected at the end of the year. I guess we’ll see what happens. Hopefully it’ll turn out better than the Karma.